NFL players on Thursday ratified a 10-year collective bargaining agreement, officially ending the labor dispute that had threatened to delay the start of the 2011 season, the league said. Most of the deal was agreed last week, when the NFL owners ended a 4½-month lockout and allowed most players to return to work and sign contracts. But some details needed to be ironed out, and teams' new signees couldn't practice until those details were settled and the final deal ratified. "Congrats to our players & teams and thank you fans for your patience. 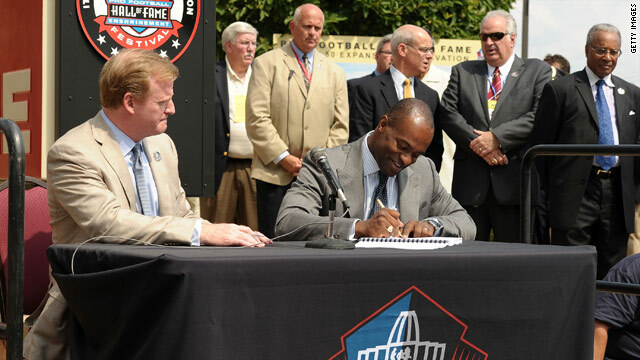 The NFL will be better than ever," NFL Commissioner Roger Goodell posted on Twitter Thursday evening. Is it too hot to start football practice? Texas has been struggling with 100-plus temperatures and its worst drought ever, and at least three young athletes and a coach have died from the heat in four states. Most CNN.com readers wondered why anyone would hold athletic events in such heat. chadley25 said, "In the South–and by extension, Texas–football is a religion. And, you know, if a few kids have to keel over and die in the pursuit of that 6A championship, well, it's a noble sacrifice. (Sarcasm!)" bybyaol said, "What kind of depraved, irresponsible coach would make a a team practice in such ridiculous conditions? And then this race? Obviously people must die before the organizers say, 'Oh, hey, maybe it is too hot'!" easytolove said, "We have to teach our boys to be tough! I say, get out there and tough it out. Show those other guys you're tougher than they are. Play football in the 100-degree heat until you beat out the other guy even if he has to fall down and needs an ambulance!" MiaGia said, "I live in a little town about an hour from Fort Worth, Texas. These ungodly temperatures have placed the wildlife in a horrible situation. Deer are coming up to our house during the day, in the open, searching for water. There will be no acorns, no berries, no fruit, no pecans, not even seeds from flowers or grass for the oncoming fall and winter. It will be late spring before wildlife receive any relief. The situation is dire." asdjklasdf said, "Well at least it's mostly red states suffering. Climate change denial karma." Guest said, "Isn't it time Dallas and other cities stopped rolling miles of concrete and asphalt and instead start setting parks, greens, gardens? How about a little public transportation focus instead of the over reliance on the big trucks?" Asklepios417 said, "I saw a cartoon once of a couple of dinosaurs grazing in a field. They see a massive meteor approaching. 'Oh it's probably nothing,' says one." 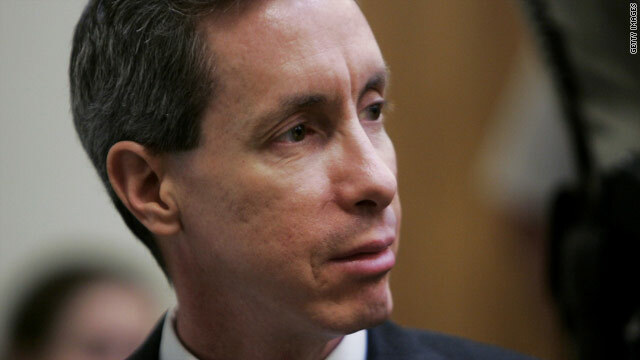 A Texas jury Thursday found polygamist sect leader Warren Jeffs guilty of two counts of sexual assault. Jeffs was charged with sexual assault on a child after a 2008 raid on a ranch near Eldorado, Texas, operated by his church. Jeffs, the leader of the Fundamentalist Church of Jesus Christ of Latter-day Saints, represented himself in the trial, which started last week. He also faces one count of bigamy, and is expected to be tried on that charge later. Andre, shown here in March, was released into the ocean Wednesday after 14 months of treatment. A marine conservation center in Florida has repaired an injured sea turtle's shell with materials used in human orthodontia and released it back into the ocean Wednesday. Beachgoers in Juno Beach, Florida, discovered a green sea turtle on Father's Day of 2010. "Andre" was floating close to shore with two gaping injuries from boat propellers in his shell. One wound exposed his spinal cord while the other had filled with three pounds of sand and was badly infected, said Melissa Ranly, hospital coordinator at Loggerhead Marinelife Center. Ranly said she "got in the turtle ambulance" to bring Andre in to the center. Despite the severity of his injuries, which also included a collapsed lung, Andre was not acting like an animal that was ready to die, Ranly said. "Even from the time we got him in the sling and in the ambulance that day, we saw that he had a kind of energy to him that we didn't expect," Ranly said. "We just noted that this turtle was strong. Even though he had these really severe wounds, he just had this life about him and was in it for the long haul." Andre's unusual tenacity called for some unusual veterinary care, Ranly said. The center borrowed a negative pressure wound vacuum to clean out the newer, sand-filled injury and re-inflate Andre's lung. 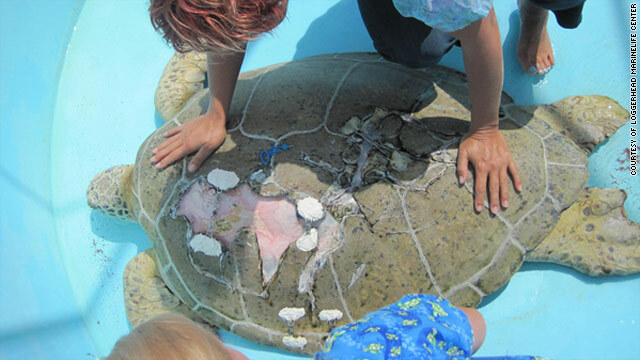 Once the injuries inside the shell were healed, the veterinary team sought to fix the damage to the shell. They contacted an orthodontist, who used palate expanders to position Andre's shell so that it would heal. As Andre regained his strength over the past year, he attracted a large following of fans who would monitor his progress in person or via a webcam, Ranly said. Many of Andre's supporters went to see him released into the Atlantic Ocean on Wednesday. "Because he had so many obstacles to overcome, I think people really embraced the story," Ranly said. Ranly said injuries like Andre's are relatively common in South Florida, where there is heavy boat traffic. The way to avoid them, she said, is to operate boats at a slow enough speed that turtles surfacing for air will have time to dive out of the boat's way. Filed under: Animals • Florida • Turtles • U.S.
Four men were sentenced in Florida Thursday for their role in the 2009 killings of a husband and wife who were shot to death when a crew of masked men burst into their home, a court spokeswoman said. The four - Leonard Gonzalez Sr., Rakeem Florence, Gary Sumner and Fredrick Thornton Jr. - will serve at least 17.5 years in prison, a judge ruled. The men were convicted of second-degree murder and home invasion for their roles in the slayings of Byrd and Melanie Billings. A judge in Escambia County, Florida, sentenced them Thursday, according to Marilyn Taylor, the county's director of court services. Nine special-needs children the couple had adopted were in the house at the time of the 2009 murders, authorities said. Stocks plunged Thursday in their single worst day since the 2008 financial crisis. 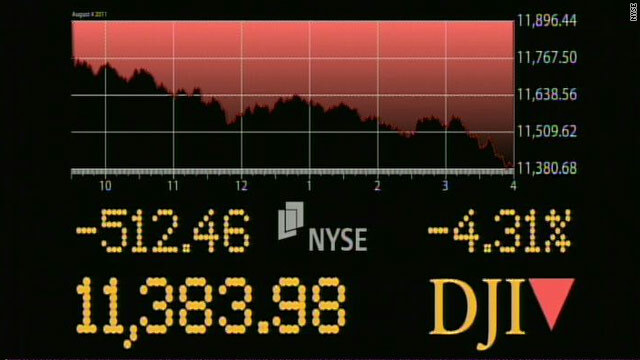 The Dow tumbled 512 points - its ninth deepest point drop ever - as fear about the global economy spooked investors. "The conventional wisdom on Wall Street was that the economy was growing - that the worst was behind us," said Peter Schiff, president of Euro Pacific Capital. "Now what people are realizing is the stimulus didn't work, and we may be headed back to recession." Do presidents age faster in office? President Barack Obama has had the weight of the free world on his shoulders for 2½ years, and he might be starting to look like it. 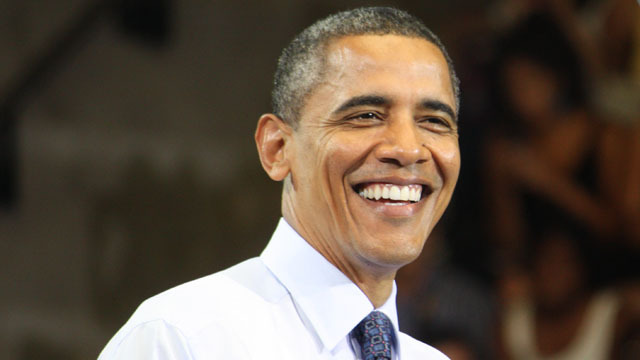 At 50, which he turns Thursday, his hair is a little grayer, and his face and neck are a little more creased, than on the day he took office in January 2009. You'd expect some of that - he is older. 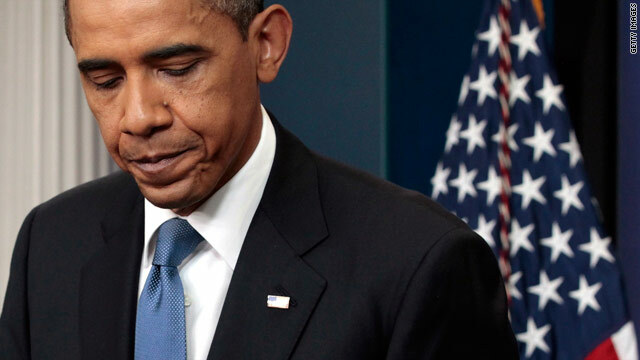 But Obama, like his predecessors, has had plenty to do. He's waged battles over economic stimulus, health care and the debt ceiling. He's juggled wars in Iraq and Afghanistan; he committed to a campaign over Libya's skies; he chased Osama bin Laden; and he dealt with a massive oil disaster off the Gulf Coast. It's tempting to think the office makes presidents look older than they are. The George W. Bush who left office in 2009 was not the youthful Bush before 9/11. Bill Clinton's hair was significantly whiter and his eyes baggier after eight years. Dr. Michael Roizen holds on to what he's said for a while: That presidents effectively age twice as fast while in office. [Update 3:07 p.m.] Virginia Tech has lifted an alert on campus hours after three youths reported that someone may have had a gun there, according to a post on the school's website. have not received nor discovered additional information about a person possibly carrying a weapon beyond that reported this morning. "The university community may resume normal campus activity. Only Blacksburg campus classes have been cancelled today." [Update 11:16 a.m.] Virginia Tech Police Chief Wendell Flinchum warned students and others to continue to stay indoors as police search for a person who may be carrying a weapon on campus. Several people have been questioned but police have not apprehended anyone, Flinchum said. [Update 11:09 a.m.] No one is in custody and the campus safety alert remains in effect, Virginia Tech's campus police chief says. [Update 10:31 a.m.] Virginia Tech is in lockdown as authorities look for a man three youths said may have had a weapon, possibly a handgun. The white male was described as having light brown hair and being 6 feet tall and was walking in the direction of a volleyball court. The man was wearing a blue and white striped shirt, gray shorts and brown sandals. He had no glasses or facial hair, according to the report. [Original post, 10:18 a.m.] Virginia Tech, the site of a 2007 massacre, has issued an alert saying someone is possibly carrying a weapon on campus. Regular classes aren't in session at the moment, but there is summer school. The university in Blacksburg, Virginia, is asking people on campus to stay inside and secure doors. The person was spotted near Dietrick Dining Hall. In April 2007, Cho Seung-Hui, 23, shot dead 32 people on campus before killing himself. Are you on campus? Share your account, but please stay safe. 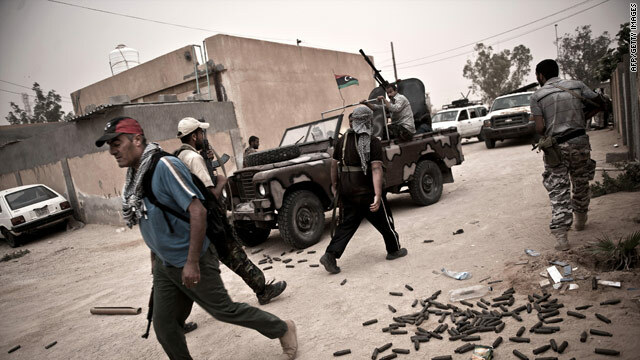 Libyan rebels rendezvous at their vehicle during a battle in the village of Josh in western Libya. The front lines of Libya's grinding war weave through the western mountains and around Zlitan, the last city east of Tripoli still under the grip of strongman Moammar Gadhafi. In many places that Gadhafi's forces have fled, they've left behind deadly fields of mines - tens, perhaps hundreds of thousands of them, say the rebels. Not only do they pose a danger for civilians but they also have slowed the advance of the rebels in their march toward Tripoli. Here in Qawalish, a town 60 miles southwest of Tripoli where fierce fighting has taken place in recent weeks, the war looks like this: Men in no protective gear sift through a public park to fight an enemy that can kill instantly and indiscriminately. Here, the enemy is Gadhafi's landmines. Milad al Saidy and his fellow "sappers," as those who work with mines are known, are armed only with simple metal probes and a couple of metal detectors. A burned-out shell of a car sits as evidence of what the mines can do. So far, they say, about 2,500 mines have been discovered, all left by fleeing pro-Gadhafi forces. Al Saidy has been doing this work for 16 years but many others are green - fresh recruits who volunteered for a potentially deadly job. Some learn on the job. Amazingly, al Saidy said, no one has been killed or hurt. "It's very, very dangerous but people are insisting they want to work with us to secure the lives of the innocent, the children, so families can come without the fear of landmines," he said. A man walks along the oil-fouled edge of the Niger Delta swamps of Bodo, a village in Nigeria's oil-producing Ogoniland region. Restoration of Nigeria's environmentally devastated oil-producing Niger Delta region could take up to $1 billion and 30 years and amount to the world's largest-ever cleanup operation, a landmark United Nations report said Thursday. The United Nations Environmental Programme (UNEP) report said pollution from more than 50 years of oil operations in Ogoniland is more far reaching than thought. The assessment, commissioned by the Nigerian government and funded by oil giant Shell, comes on the heels of the company admitting liability for two spills in Nigeria. A spokesman said Shell welcomed the report. "We will study the contents carefully and will comment further once we have done so," the spokesman said. Nigeria's Niger Delta, the world's third largest wetland, is diverse and rich with mangroves and fish-rich waterways. But oil drilling has turned it into one of the most oil-polluted places on Earth with more than 6,800 recorded oil spills, accounting for anywhere from 9 million to 13 million barrels of oil spilled, according to activist groups. But the environmental disaster has never received the kind of attention paid to last year's oil catastrophe along the Gulf Coast. 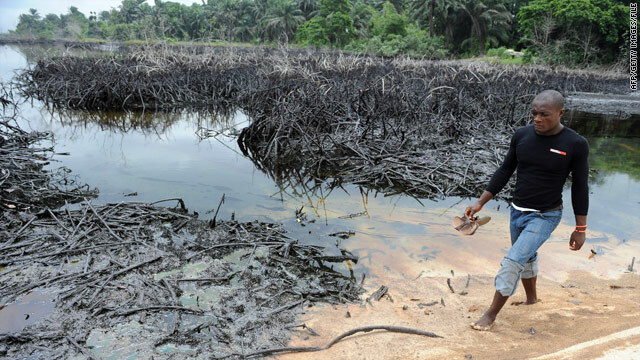 Amnesty International, which has researched the human rights impacts of pollution in the Delta, said people in the region have experienced oil spills on par with the Exxon Valdez disaster every year for the last half century. 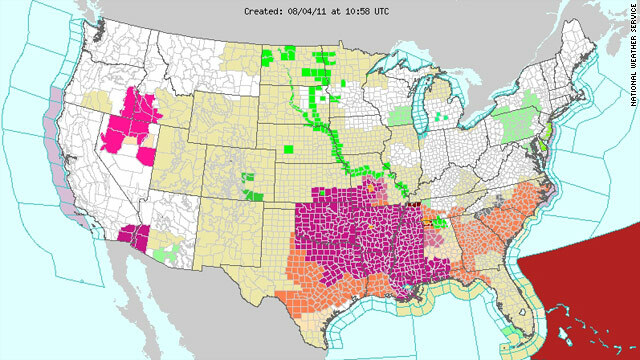 The National Weather Service says it's dangerously hot in 15 states. Dallas has seen a solid month of triple-digit temperatures, and 15 states are under National Weather Service heat advisories. To put those figures into some historical and scientific context, here's a round of hot-weather factoids. If you're in one of those 15 sweltering states, please drink a glass of water while you read them. NOAA has records of heat-related fatalities going back to 1986. For the first decade of data, the number of deaths did not top double digits until a disastrous 1995, when 1,021 people died. According to NOAA, about 700 of those deaths were in Chicago. Between 1986 and 1997, the median annual number of heat-related fatalities was 36. Between 1998 and 2010, it was 158. Seven high temperature records were broken Wednesday, and six were tied in Oklahoma, Kansas, Texas, Arkansas and Missouri. In parts of Missouri, the previous record was from the day before. Wednesday's high of 110 degrees beat out the all-time high of 106 that was set Tuesday. Participants in the raw foods movement do not eat food that has been prepared at temperatures greater than 104 degrees Fahrenheit. They should therefore steer clear of picnicking in Dallas or Oklahoma City, where today's forecast high is 110 degrees. Scientists say the average temperature on Earth during the Cretaceous period was just a chilly 82 degrees, though individual locations were much hotter. Apple recommends not operating its iPod Touch, iPad and iPhone in temperatures greater than 95 degrees. They can be stored at up to 113 degrees, but parked cars get hotter than that. Heisman trophy winner and top draft pick Cam Newton of the Carolina Panthers cools down after training camp last week at Wofford College in Spartanburg, South Carolina. There are no nationwide rules written to protect high school athletes from sudden death due to hot weather. Two high school football players in Georgia collapsed and died on August 2 after practice. This makes at least three possibly heat-related deaths on high school football fields in the past week. Atlanta Public Schools on Wednesday banned all outdoor student activities until after 6 p.m. through the end of the week because of high heat and humidity in the region. The restriction covers all grades at all schools and includes football, other sports and band practices. Many coaches and band directors have moved practices indoors, the district said. "We think it was the worst week in the last 35 years in terms of athlete deaths," said Dr. Douglas Casa, chief operating officer of the Korey Stringer Institute of health medicine at the University of Connecticut and author of the book "Preventing Sudden Death in Sports and Physical Activity." The military siege on the Syrian city of Hama persisted Thursday as new reports of deaths emerged, including injured people who have passed away in a hospital because they are without supplies and electricity, a resident told CNN. The western Syrian city has been at the epicenter of the anti-government movement roiling the country, prompting a push by security personnel to crack down on the huge demonstrations there. Residents reported a breakdown and cutoff in communications and electricity accompanying the siege, and said the military was bombing the city. The resident said entrances of city are blocked, with no one getting in and out and snipers stationed across the city. People who try to leave the city, he said, are being shot. The man said he was sure that about 10 people are dead and dozens of people are injured. However, he said, he is hearing reports of dozens of deaths and said he was told there was "genocide" in one particular area. Activists have said many civilians may have died as the military and security forces take hold of the city. President Barack Obama issued a proclamation Thursday barring entry into the United States of any individuals who have participated in war crimes or other serious human rights violations. Under the terms of the order, which took effect immediately, the secretary of state is responsible for determining who will be kept out of the country. Exceptions can be made to accommodate U.S. foreign interests. "Universal respect for human rights and humanitarian law and the prevention of atrocities internationally promotes U.S. values and fundamental U.S. interests in helping secure peace, deter aggression, promote the rule of law, combat crime and corruption, strengthen democracies, and prevent humanitarian crises around the globe," Obama said in the proclamation. President Obama turns 50-years-old today. Barack Obama turns 50 today. In honor of his birthday, Gotta Watch is looking back at some memorable presidential birthday celebrations. From the Reagans' birthday cake superstition to George H. W. Bush's celebratory skydive, watch how commanders-in-chief have commemorated their birthdays. Filed under: Barack Obama • Gotta Watch • Politics • U.S.
Defender Naoki Matsuda played on Japan's 2002 World Cup final 16 team. One of Japan's top male soccer players died Thursday, two days after suffering heat stroke following a practice. 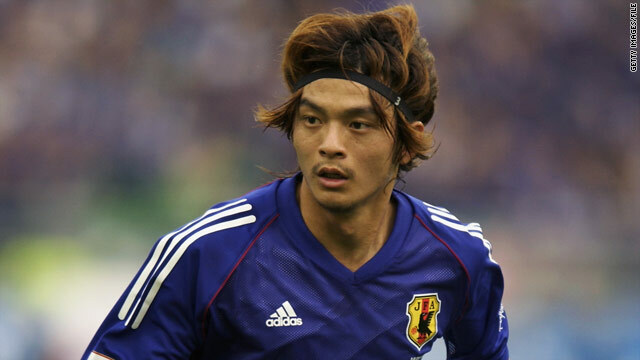 Defender Naoki Matsuda, 34, who played in 40 matches for Japan's national team, including the 2002 World Cup tournament, suffered cardiopulmonary arrest after practice Tuesday, The Japan Times reported. He died shortly after 1 p.m. Thursday, Kyodo News Service reported. "On behalf of FIFA and the worldwide family of football, I wish to extend our condolences to you, to the Japanese football community and, most importantly, to Naoki Matsuda's friends and loved ones. Please let them know that today the football community stands by their side," Joseph S. Blatter, president of the international soccer's governing body, said in a statement. Matsuda played 385 Japan Football League games for Yokohama F. Marinos from 1995 to 2010, according to The Japan Times. Hiromi Hara, Japan Football Association technical director, fought back tears after being informed of Matsuda's death during an unrelated press conference Thursday, Kyodo reported. The death comes less than three weeks after the Japanese women's national team captured the Women's World Cup in an emotional victory over the favored U.S. team. 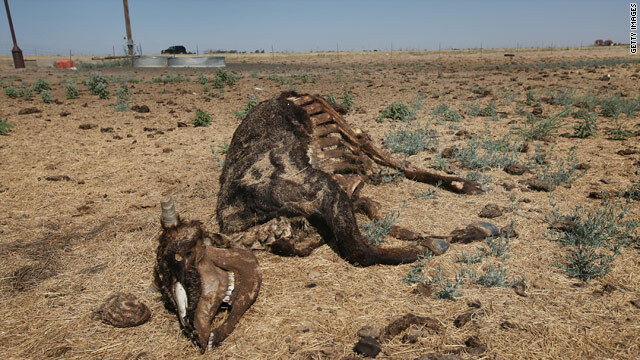 The remains of a cow lie on parched farmland last week near Tulia, Texas, as drought and record heat threaten the state. Extreme weather - The heat wave is taking a deadly toll across the nation, particularly on athletes, as two football players and a coach died during summer football practices this week. The heat wave, now in its second month, is responsible for record-setting electricity use in Texas and dozens of deaths across the U.S. heartland. Meanwhile, Tropical Storm Emily is bringing heavy rains to Haiti on Thursday, heading directly over Port-au-Prince, where many quake victims live under precarious conditions. Nearly 12,000 U.N. peacekeepers are on emergency standby. And Typhoon Kabayan, forecast to be a category 4 storm, could hit or pass Okinawa, Japan, late Thursday. The typhoon has boosted monsoon rains over the northern Philippines. Turkey recall - Cargill Meat Solutions Corp. announced an immediate recall of 36 million pounds of ground turkey meat because it may be contaminated with salmonella bacteria. Cargill's plant in Springdale, Arkansas, processed the fresh and frozen ground turkey products between February 20 and August 2, the company said. At least one person has died and 76 have been sickened in 26 states.